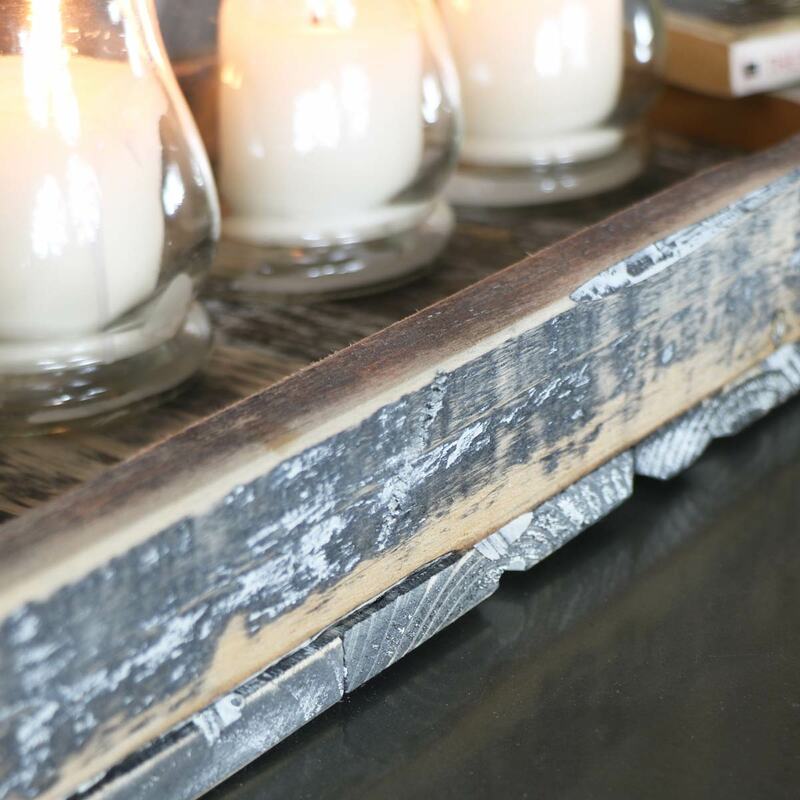 This rustic tray, made from reclaimed wood, is the perfect accessory for your home. Use as a display tray or for serving in quaint rustic style. In an extra long design with 2 metal handles on either side, this is perfect for displaying ornaments, plants or knick-knacks. So practical and versatile, this will also make a great serving tray for carrying drinks and food out into the garden on a summer's day. The reclaimed look of this tray is unique and charmingly rustic. An unusual and quirky centrepiece for the dining table. 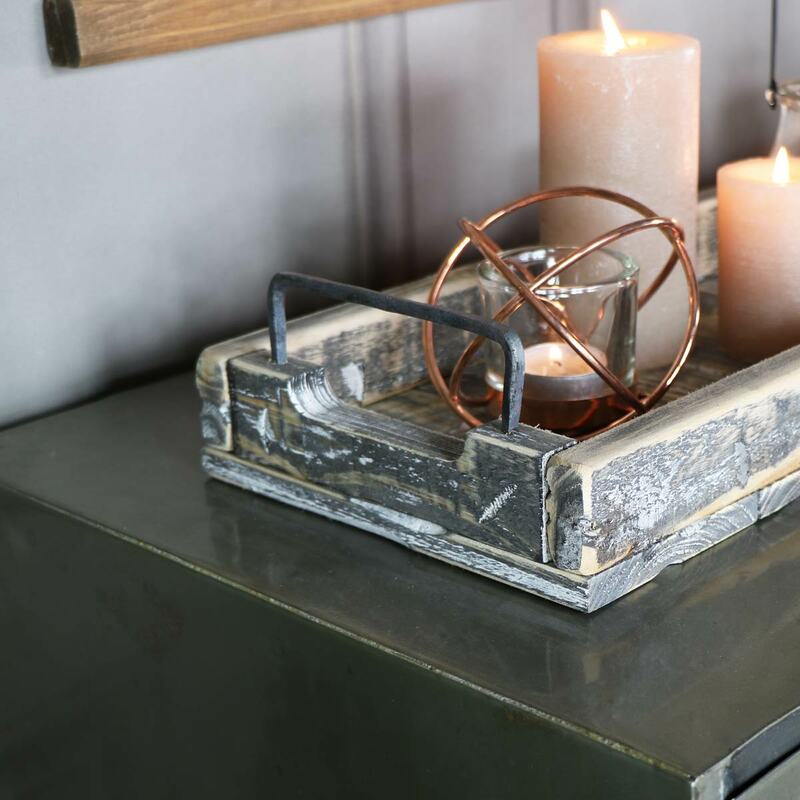 This rustic tray, made from reclaimed wood, is the perfect accessory for your home. Use as a display tray or for serving in quaint rustic style. In an extra long design with 2 metal handles on either side, this is perfect for displaying ornaments, plants or knick-knacks. So practical and versatile, this will also make a great serving tray for carrying drinks and food out into the garden on a summer's day. 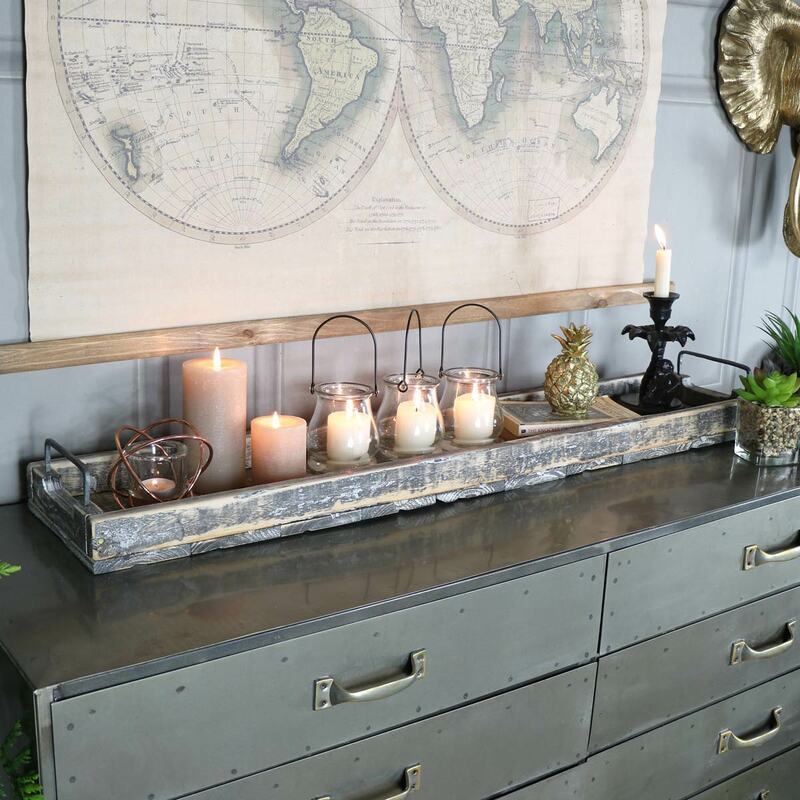 The reclaimed look of this tray is unique and charmingly rustic. An unusual and quirky centrepiece for the dining table. Made from reclaimed wood in a natural rustic appearance. Fully assembled with 2 metal handles. This is a great addition to our range of home accessories and giftware. Great gifts and homeware for everyone. This item is already built and doesn't require any assembly. This item is best described as a rustic grey/wooden colour. This item would take 1-3 working days for delivery to mainland UK addresses. This item weighs 4kgs in total.